Jonathan is at a crossroads in his life; disillusioned with his work as an accountant he is about to launch his first book, but was it wise to give up his job just before Christmas? As he and his girlfriend, Catherine, set out for a couples Christmas with their usual friends, at a rented house in Llangollen, their relationship is heading for a crisis. And he already has unresolved issues with ex-wife Denise and their teenage daughter, Lizzie. There are many complications with his book trilogy, due to the incompetency of the publishing company and he is concerned about Catherine’s grandfather Gwilym, who is rapidly developing Alzheimer’s. He cherishes Gwilym’s small bookshop on the seafront and doesn’t want it to close. Could he find a solution to all these problems? There are some delightful observations about the difficulties of publishing a book. Tangerine Press and editor, Eden Edwards, act as if they are on the ball as a prestige company but it is all smoke and mirrors. It doesn’t take the reader long to identify the online bookseller, Marathon, where Jonathan searches for his sales figures. For a novella, this story packs in many strands: of parental and romantic relationships, of friendship and community spirit. Set over three Christmas seasons, 2015 -2017, we see Jonathan find a way through his problems, gaining wisdom and appreciating his friends and family. He acquires a dog called Frodo and sets out on a new life. There is a satisfying conclusion which keeps you guessing and even leaves the way open for the possibility of a follow-up book. A warm, rewarding book for the Christmas season, set in a realistic, inviting location. As an author I have been described as a combination of literary-contemporary-romantic-comedy-rural-realism-family-saga; oh, and with an occasional criminal twist and a lot of the time, written from the male viewpoint. No question my books are Contemporary. Family and Realism; these two must surely go hand-in-hand, yes? So, although you’ll discover plenty of escapism, I hope you’ll also be able to relate to my characters as they stumble through a minefield of relationships. I hesitate to use the word romance. It’s a misunderstood and mistreated word and despite the huge part it plays in the market, attracts an element of disdain. If romance says young, fluffy and something to avoid, maybe my novels will change your mind since many of my central characters are in their forties and fifties. Grown-up love is rather different, and this is where I try to bring that sense of realism into play without compromising the escapism. As a teenager I loved staying with my Gran in Scotland so that I could read her People’s Friend Annual. The stories had a feel-good theme which made me look forward to being one of the young women in the tales. A few years ago, my mother was passing on copies of the magazine and I discovered the stories had moved with the times. Nowadays they deal with single parents, caring grandparents and the problems of divorce. So, I had an inkling that Wendy Clarke’s book of Christmas stories which have already been published in the People’s Friend and Women’s Weekly would be a rewarding experience. There are 13 stories of which two take us back to the twentieth century. The characters are children, young couples, middle-aged men and women stuck in their ways and old people with sad stories but wisdom to pass on. Some try to recreate happy Christmas gatherings from the past while others try to escape the traditions and family problems of a conventional day. Bella’s Christmas, “On my Own,” particularly appeals to me personally and promises a change in her future life, while “Project Christmas”, “A Christmas Present called Abbie,” and “A Song for Christmas,” are heartening accounts of how young men come to terms with looking after a family they love at Christmas. “Cancelling Christmas,” and “Together for Christmas,” reminded me that friendship is worth celebrating at this time and “Finding Santa,” shows how strangers will rally round to make Christmas special when disaster strikes. “Christmas Strike” is a lesson for us all about making assumptions about others while “The Greatest Gift” is a touching story about love, although I did feel that Lindsay was almost too perfect, in her happiness to receive only a small gift from her partner. The two historical stories are sad and moving but perhaps the most unusual is “The Memory Purse” where Tracy’s attempt to give all the residents of a Retirement Village what they wish for, results in a surprise gift for her personally. This lovely book would make an excellent present or a relaxing read for yourself over the festive season. Wendy Clarke is a full time writer of women’s fiction. She started writing when the primary school she taught in closed down and after completing two creative writing courses, began writing short fiction for magazines. Since then, she has sold over two hundred short stories and her work regularly appears in national women’s magazines such as The People’s Friend, Take a Break Fiction Feast and Woman’s Weekly. She has also written serials and a number of non-fiction magazine articles. The Betrayal is set mostly in Guernsey but in two eras. First, we find ourselves in 1940, where Teresa Bichard is distraught at leaving her husband, Leo, on the island while she flees to her family on the mainland with their baby daughter. The Germans are expected to invade imminently but Leo feels he must look after their home and antique business in Guernsey. Fast forward to 2011 and we meet Nigel and his twin sister Fiona, who have bought that antique shop, but from a different owner. While decorating, the twins find a hidden trap door concealing some paintings which seem to include a Renoir. As an art historian, Fiona has the contacts to authenticate the painting, so she returns to London, but while she is away, events take a sinister turn. Nigel appears to have committed suicide but Fiona (and the reader) does not believe this so she employs a private detective. Is his death connected to the painting and to the betrayal of Leo Bichard, who was sent to a concentration camp in 1942? This book is full of detailed descriptions of the beautiful beaches and stunning views on the island and delicious meals served in sumptuous surroundings. All Fiona’s friends are wealthy and live in amazing properties which is delightful to read about, but seems slightly like leafing through a glossy homes magazine. In some ways a cosy mystery but with thrilling use of tension and a warm budding romance, it is a pleasure to read. The inclusion of events during the occupation made it particularly interesting to me. Although book 6 of Anne Allen’s Guernsey novels, it is a standalone story. I shall be seeking out earlier volumes in the series. Anne was born in Rugby to a Welsh father and an English mother. As a result, she spent many summers with her Welsh grandparents in Anglesey and learnt to love the sea. Now she is based in Devon to be near her daughter and two small grandchildren. Her restless spirit has meant many moves, the longest stay being in Guernsey for nearly fourteen years after falling in love with the island and the people. She contrived to leave one son behind to ensure a valid reason for frequent returns. Her younger son is based in London – ideal for city break. By profession Anne was a psychotherapist who long had a desire to write and Dangerous Waters, her first novel, was published in 2012. It was awarded Silver(Adult Fiction) in TheWishingShelfAwards 2012. But everything changes when Annie finds herself trapped under the crashed coach, abandoned by her family. Enter her saviour, Colt McCall, half Sioux, half Irish, who hates English women. The dialogue-driven plot reveals much about Annie’s sad life and also her determination, but McCall keeps most of his secrets. At times these two disparate characters argue bitterly, as Annie tries to keep her respectable clothes and behaviour, but they find they have more in common than they expected. The witty conversation and obvious blossoming attraction between the two, take place against the prejudice and arrogance of cavalry officers, English visitors and land-grabbers. Annie struggles to stand up for herself, unaware that she is being manipulated. Can she trust Colt when another more attractive woman is close to him? This is a recipe for misunderstanding and tragedy, but Annie has native magic on her side. There is great humour in the story, each chapter beginning with a delightful quote from “The Gentlewoman’s Guide to Good Travel,” but there is also a moral to the tale which I found in a native American proverb. “Listen to the wind, it talks. Listen to the silence, it speaks. I do urge you to read this unusual love story. June Kearns lives in Leicestershire with her family, and writes in a warm corner next to the airing cupboard, a bit like a mouse’s nest. When she left teaching, June won a national magazine competition for the first chapter of an historical novel. After many, many more hours watching cowboy heroes bring order west of the Pecos, this became her first novel, An Englishwoman’s Guide to the Cowboy. Her next book The 20’s Girl, was inspired by the fabulous style and fashion of the 1920s, and that time in England after the Great War, of crumbling country houses and very few marriageable men. June is now writing another period romantic comedy set in London in the 1960s. The fourth book of investigations by Dr Adam Bascom begins dramatically when he falls from his horse one dark evening, near to the site of a young woman’s murder. Finding himself incapacitated, Adam seeks the help of young Charles Scudamore, nephew of the entrancing Lady Alice Fouchard, to follow leads in this investigation as well as suspicions of a plot for rebellion. It is a pleasure to meet again the incorrigible apothecary, Peter Lassimer as well as Adam’s reliable staff, housekeeper Mrs Brigstone, nervous Hannah, the parlour maid and faithful groom, William. But new characters are also introduced, including the warm hearted young widow, Mrs Munnings and the strange Dr Panacea, who offers a cure-all medicine after a compelling speech to the crowd. As in the previous books we learn much of Norfolk life in the years following the French Revolution, of the widespread hardship of the poor and the anxiety of those in power about the possibility of invasion or disorder. Adam goes through a period of depression, trapped in his house and convinced that he will soon lose touch with Lady Alice, but he concentrates his mind on solving crimes and his bravery and moral conviction command loyalty from his friends. Another enjoyable return to the past, written in the style of the time, with an intriguing storyline. 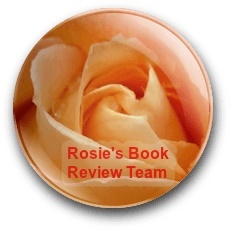 I reviewed this book as a member of Rosie Amber’s Bookreview Team. We meet Esme Quentin, at the beginning of this third mystery, packing up to move to the Devon coast where she has friends and fond memories. But first she is disturbed by the appearance of Max Rainsford, an investigative journalist and ex-colleague of her deceased husband, Tim. Max wants information from notes left by Tim and he believes that Esme’s genealogy skills will also be of assistance. Esme is reluctant to become involved and she is soon researching the mysterious wartime disappearance of her friend Ruth’s aunt, a nurse called Vivienne. The frustrating lack of any record about Vivienne leads Esme to think about Max’s interest in the murder of old soldier, Gerald Gallimore, in 1981 and the possibility of a link to the death of her husband. Soon Esme is making connections which lead her into danger, but she is determined to discover the truth about Tim and Vivienne. Like the earlier stories in this series, there is a complicated but logical plot and fascinating information about past times, in this case undercover work during the second world war. Esme’s bravery and calm approach, make for a thrilling story which appeal to all readers, not just those interested in family history. It is good to finally discover the traumatic event which caused Esme’s face to be scarred and reinforces the quality of this compulsive series of books. Wendy Percival was born in the West Midlands and grew up in rural Worcestershire. She moved to North Devon in the 1980s to start her teaching career. An impulse buy of Writing Magazine prompted her to start writing seriously and after winning a short story competition and having another story published she turned to full length fiction. The time-honoured ‘box of old documents in the attic’ stirred her interest in genealogy and it was while researching her Shropshire roots that she was inspired to write the first Esme Quentin mystery, Blood-Tied. Genealogy continues to intrigue her and its mysteries provide fodder for her family history blog (http://familyhistorysecrets.blogspot.com) as well as ideas for further novels. In this episode of Phryne Fisher’s mysteries, set in 1920s Australia, she has decided to take her assistant Dot and her two adopted daughters, Jane and Ruth, for a quiet seaside holiday in Queenscliff. An acquaintance, Mr Thomas, has lent his substantial house to Miss Fisher, including his staff, Mr and Mrs Johnson, to take care of their domestic needs. However, there is no sign of the couple, their furniture is missing and the back door is wide open. Soon there are other mysteries to solve. Who is the phantom pigtail stealer and why is Mrs Macmaster, who lives next door, with her son-in-law Dr Green, so nasty and so nosy? As usual in these stories, there are many other characters participating in the plot. Their other neighbour has two idle sons, with a particularly nasty friend, called Fraser, staying with them. A film company is producing a silent movie on the beach and soon Phryne’s hopeless kitchen maid, Lily is starring in the film. Kerry Greenwood spices her stories with rich description of the clothes worn by Phryne and Dot and of the delicious food they eat. She also indulges herself with the pleasure of including aspects of 1920s life which she has researched. On this occasion she describes a party at the house of Madame Sélary, where the local surrealist club act as one might expect or perhaps as you might not expect. A delightful new addition to Phryne’s household is poor young lad, Tinker. Hero worshipping Miss Fisher, he becomes a gem, assisted by stray dog, Gaston, in carrying out her orders and acting undercover to solve the mysteries in the style of Sexton Blake. As always, this book is a pleasure to read and great escapism.